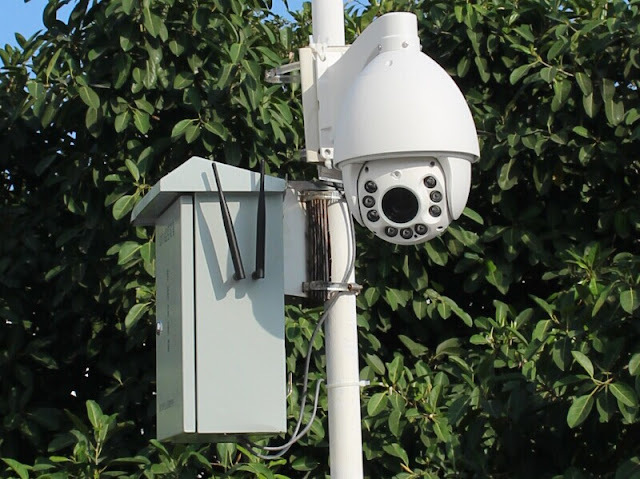 Depending on the area you want to cover, you can expect the PTZ camera to cover the area with 360 degree angle. With better pan and tilt features, you will be able to get better recording too. You can easily make use of them in the area where you want to cover larger area from every angle. Moreover, just using one or two PTZ camera system for security purposes is enough to surveillance the area and keep an eye on intruders. The best thing about the PTZ cameras is that it can easily follow a person or a object by making use of the built-in motion tracker feature. Not over! You can even tilt, pan or zoom the camera on the target to get a better view. This can definitely come in handy in any case of vandalism or theft. Always look for it when buying PTZ cameras. If you know that the area you want to cover under surveillance has poor light conditions then you the night vision featured PTZ cameras can help you. Better light helps to capture better image and low light does the opposite. With PTZ cameras you can even get images in total dark – all thanks to the LED lights in them. PTZ camera system is best for security purpose even in the outdoor space. They are weatherproof and is resistant to rain, snow, wind and even extreme heat. So having them will not hinder your streaming process. Even if you go for a low end cameras, they will get you better imge at a distance of 150 feet and the higher ones around 1000 feet. For better clarity you can go for the ones with 360X zoom. You can have such ones in the parking lot or in warehouses. The best thing about PTZ cameras is that they come with different alarm inputs. So you can easily connect with glass break sensors, motion detectors and much more and get notified in case anything go wrong. It simply stops all other streaming activities and concentrates on that point where it detected some activity. These cameras are mounted at heights and so it reduces the chances of reaching it. Moreover, they are very much strong and do not break when hit by anything. Even if such thing occurs, it does not affect the working of the camera and it keeps on delivering amazing images. PTZ cameras offer amazing zooming and focus even when it is tilted or panned. This is because of the auto focus feature that is present in it unlike other cheaper cameras in the market. It is very easy to install and mount PTZ cameras. You can have them indoor, outdoor, in garage or at any part of your property. The best thing about them is that you need just a few to monitor the whole area. Protecting your home and property is very important in today’s time. Using cameras for the same can help your ward off intruders and burglars. Again, you can make use of them as a proof if something goes wrong with you or your people.